AmTab is a world-class American manufacturer of mobile and stationary folding products. We serve educational, hospitality,healthcare, banquet and industrial markets. All AmTab products are made with uncompromising quality and careful attention to customer satisfaction. We are the leaders of innovative product design in our industry providing cutting-edge engineering. Our products stand the test of time with the highest quality raw materials and state-of-the-art manufacturing. Bailey is proud of the reputation we have earned as an industry leader by manufacturing quality products at a fair price, and look forward to satisfying the needs of your physical therapy, occupational therapy & sports medicine equipment. Bailey offers a wide variety of products, available in the size and color that fits your need. Because we build to suit your needs, many products you receive are built exclusively for you. Concord Products has been a family owned and operated manufacturer of office furniture since 1968. We manufacture Systems Furniture, Freestanding Furniture, Architectural Walls, Casegoods, Steel Filing, Storage, and Tables. All backed by our lengthy product warranty. We also offer a wide range of services to make the buying experience easier for our customers. Wood Veneer and Laminate Casegoods. Over 30 collections of products and extensive SKU’s in each offering. Transitional, Contemporary, Traditional, Conferencing, Occasional Tables, Seating, and Lounge Product. Draper, Inc., is an Indiana-based manufacturer of projection screens, projector and flatscreen lifts, window shades and gymnasium equipment. Extensive Task and Executive Seating Manufacturer. High Quality, Quick Turnaround, Excellent Price Point. High Quality Design Laminate Casegoods and Seating from PLI, and Arold. Style your office with office furniture solutions from HON. Shop our line of desks, chairs, workstations, tables, file and storage cabinets. Invincible™ is a full-line office and educational furniture manufacturer. Invincible™ has been proudly manufacturing affordable high quality products in Manitowoc, Wisconsin since 1913. All Invincible™ brand products are manufactured in the United States to a level of unsurpassed quality, are available in 43 standard paint colors and any standard Wilsonart laminate, and are backed by a lifetime warranty. When you want it to last, you want it to be Invincible! 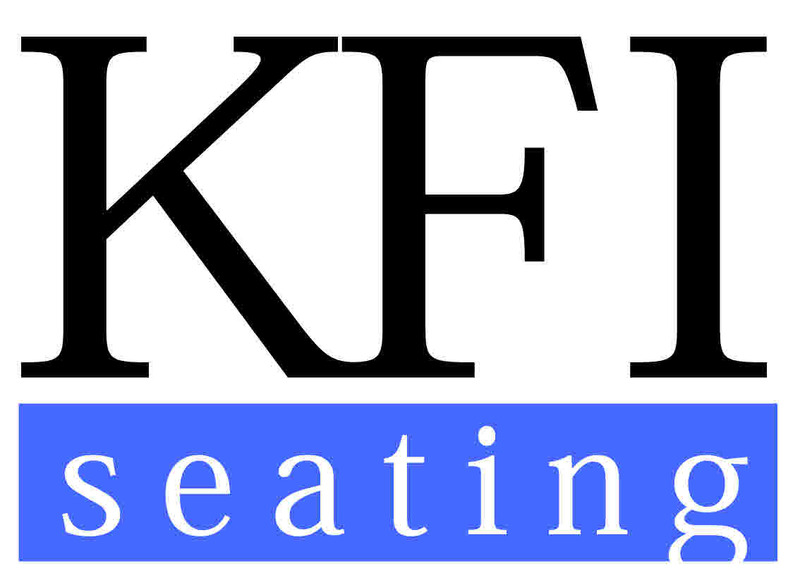 KFI is a mid-market furniture company that specializes in multi-use seating and tables. Our products offer a great solution for café and dining areas, stack and banquet needs, big and tall applications and collaborative spaces. We offer over 700 skus that ship in 2-3 and also specialize in custom upholsteries and laminates. KFI’s products are a great fit for Education, Commercial, Hospitality, Healthcare and Government. KI offers contract furnishings, including seating, office systems, files, tables, educational furniture, patient room seating, lounge, guest, healthcare seating, auditorium seating, dorm room furniture, wood casegoods and de-mountable wall systems. Leisure Craft Inc. is a full service North Carolina fabricator of metal and wooden furnishings for interior and exterior use with a full array on-site manufacturing capabilities including thermoplastic and powder coating. Located in northern Illinois, Luxor designs, distributes and markets an extensive line of quality specialty furniture for offices, schools, libraries, health care and automotive facilities. Luxor's diverse product line includes mobile equipment tables, computer workstations, video production centers, television and VCR mounting systems, presentation easels, overhead projector tables, slide filing systems, book trucks, audio visual storage cabinets and more. 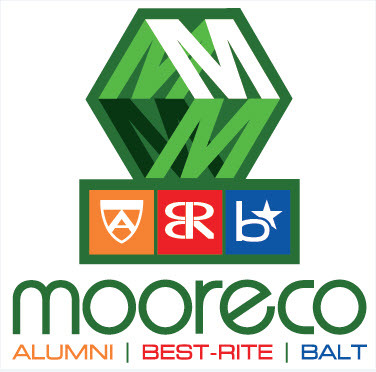 MooreCo Inc. has been manufacturing educational furniture, commercial furniture, visual communications products and technology products for decades. Our products are tailored to meet the functional, aesthetic, ergonomic and technological needs of clients for learning, corporate, architectural and healthcare environments. We strive as a company to make your experience with MooreCo an enjoyable one through integrity, product knowledge and a genuine interest in having the opportunity to be of service. Founded in 1982, 9to5 Seating is a vertically integrated manufacturer, specializing in the design and production of ergonomic office seating to accommodate the rigorous demands of today's office. Represented is a complete collection of executive, task, side, conference and drafting stool models. 9to5 Seating offers state-of-the-art inhouse manufacturing systems with a commitment to ongoing improvements in quality and value. Oklahoma Sound Corp. manufactures the highest quality state of the art cabinetry in your choice of laminates and veneers, featuring integrated audio voice amplification technology. NEW in 2010 is the launch of OSC’s Green effort, creating America’s most complete line of eco-friendly, environmentally conscious Lecterns. We offer a wide range of custom capabilities, as well as our standard product offering of pedestals, vertical files, storage towers, free standing desks, workstations, open shelving, bookcases, flipper door units, lateral files, and seating. Our custom capability offers our customers the ability to provide unique solutions to meet any requirement. In a commodity driven industry, we offer any sizes, colors, laminate, or design that you may want. Top Quality Fire Records Protection, Data Safes, Fire Files, and Storage Options. Quick Turnaround, and Unmatched pricing advantages. RightAngle™ Products, a privately-owned family run business, is the creator of RightAngle™ Ergonomic Products, R-Style™ office furniture, and NewHeights™ height adjustable tables. Offering innovative design ideas for more than twenty-five years, RightAngle™ has grown into one of the top furniture suppliers for the United States government, fortune 500 companies, education facilities and healthcare establishments across the country. Devoted to excellence and committed to quality, Scholar Craft has continuously designed and manufactured ergonomic, durable and practical school furniture since 1956. In a manufacturing world where the term “Made in America” has been used loosely or lost in semantics, Scholar Craft proudly produces the very finest truly American made school furniture. Operating six facilities in three states, we are continually investing in the future… upgrading our operations, our talent and our capabilities. Scholar Craft products are designed for today’s students and tomorrow’s leaders. Sedia Systems is a leading manufacturer of lecture hall and classroom furniture offering the widest range of fixed seating in the industry, in addition to a complete range of auditorium seating, multi-purpose seating, training tables and training tools. The contemporary product line was created to serve as an extension of the architectural vision. The fixed product line offers multiple options that optimize room capacity including seating systems that can be installed in rows as narrow as 31.5" with compact on center seat spacing as close as 20". For over 50 years, Shain Solutions has been providing distinctive maple furniture, built by craftspeople that take pride in creating furniture used by teachers and students.That same workforce uses cutting edge technology to produce innovative and quality products for education, art and technical markets. Quality maple hardwoods and veneers, and fine details like fully dovetailed drawers are signature hallmarks of our products. We pay just as much attention to our packaging and carrier selection to ensure our products arrive on site with the same care taken in crafting them. Innovative educational furniture; Integrating technology into the learning environment with teacher desks, changeable tables for schools, classroom desks and computer labs. TablEx offers you quality tables with enormous design options, flexibility of function, and we are simple to work with. Tables coordinate functional training rooms with elegant conference rooms at affordable prices. TablEx tables have nesting, folding, ganging, power and many more options. We welcome the challenge of creating a table tailored specifically for you. We’ll go the Extra Mile to insure your satisfaction. United Chair can adapt to multiple situations and tasks. Our highly efficient chairs in structure and performance inspire users with both comfort and energy - making it the perfect support for today's fast-paced office space. And with our extensive fabric program, you will find the perfect look. The result is fresh and inventive styling, new material choices, advanced features and leading-edge engineering. "Since 1904, Whitney Brothers has used classic cabinetmaking techniques to design and manufacture unique wood furniture, storage and educational play products for the Early Education market. Our products are proudly made in the US, are GREENGUARD® Certified, and backed by a 10-year warranty. " Wood Designs™ furniture is GREENGUARD® Children & Schools certified, features our exclusive Tuff-Gloss™ UV finish, qualifies for LEED® credit IEQ 4.5, and is made in the USA!